This is a golden evening; the warm glow of sunset banishes the mist and paints the busy street with its cheerful light. The exuberance of city life is everywhere evident. On Lombard Street, on an evening such as this, life is a gala celebration of the endless possibilities of city life. I invite you to celebrate with me. San Francisco, Lombard Street – 16″ x 20″ Brushstroke Vignette (Rich Burl Frame) Sale! 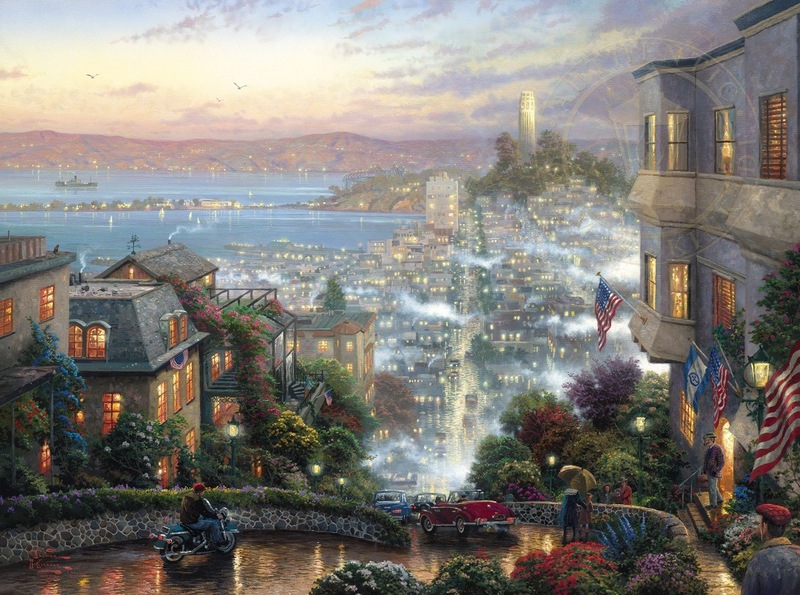 San Francisco, Lombard Street – 16″ x 20″ Brushstroke Vignette (Burnished Gold Frame) Sale!